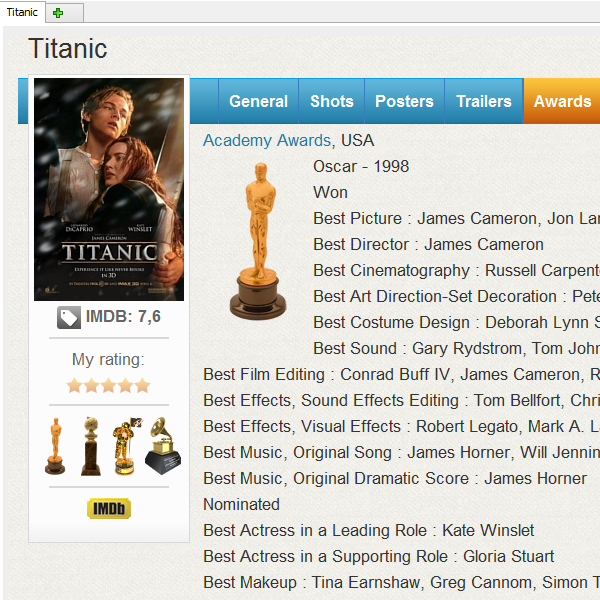 On the movie page, under the main cover, the program displays pictures of the awards that the movie won. If a particular movie was only nominated for some award but did not win it, the corresponding picture is not displayed under the movie cover. Pictures of awards are also displayed on the "Awards" tab, where all awards that the movie won or was nominated for are listed. Here you can also click on the award's name or on its picture. Nominations are not included here, so if some movie was only nominated for the award, it will not be listed here. Movienizer includes only a small set of award pictures. They are stored in the "Pictures\Awards" subfolder of the program's folder. You can add more pictures to this set, using the same naming convention. Award pictures are 100*167 PNG files with the transparent background. Filenames are award names in lower case with spaces replaced with dashes. 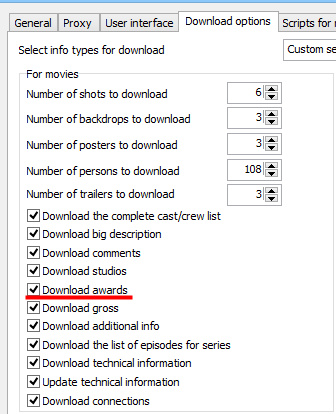 There is also a text file in the Awards subfolder that describes rules for inserting pictures. 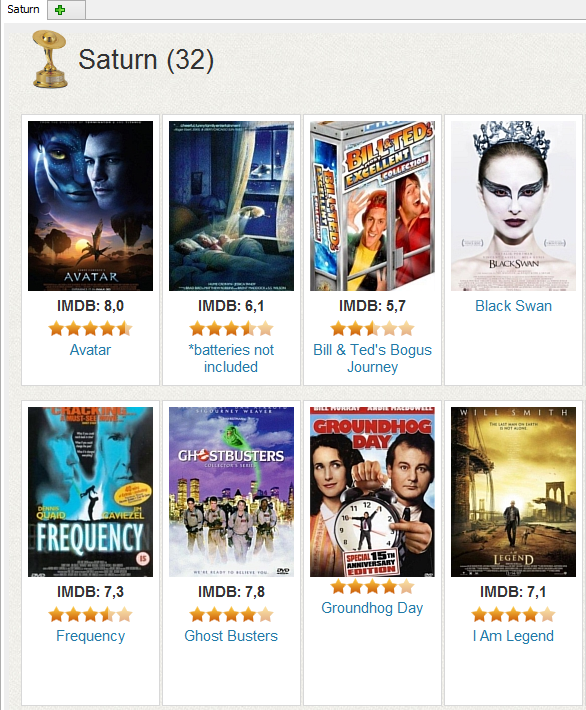 On our forum, there are some extended sets of award pictures contributed by users of Movienizer.